Take the time to show your sister how much she means to you with our Personalized Sister Gifts. 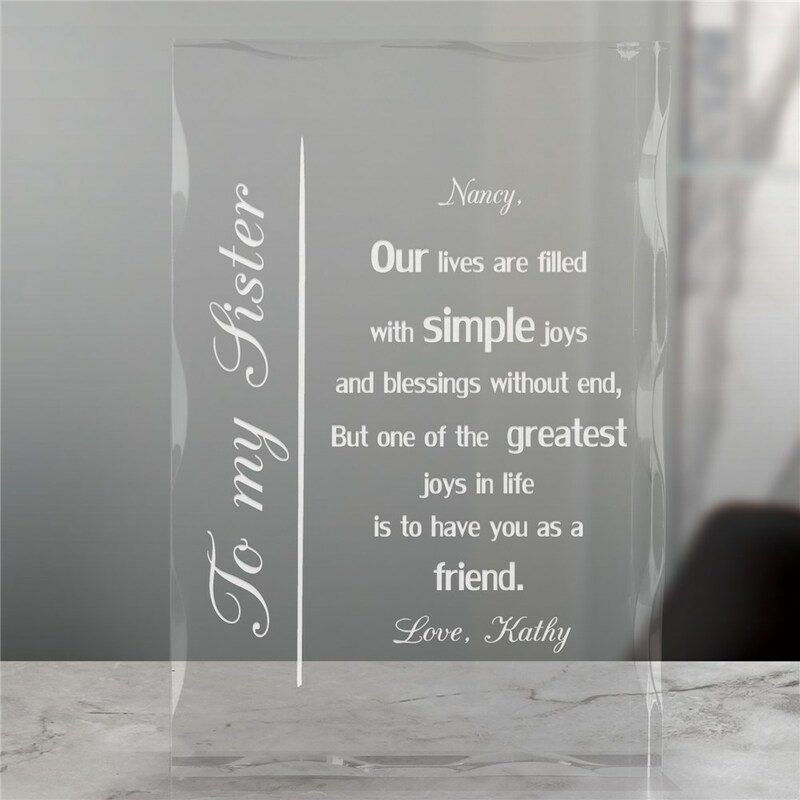 This sophisticated To My Sister Personalized Keepsake Block shares your heartfelt feelings in a way that she'll be able to reflect upon for years to come. Let her know she is not only your sister, but your friend. These Gifts for Sisters may be engraved with any title (ex. to my Sister or to my Mother), and "Love," from any name. This was absolutely beautiful and of a very nice quality. It is very beautiful, my daughter will be very happy, but before I give them to her I need to find a stand. This was absolutely beautiful and bought our sister to tears! A lovely gift idea!! Additional Details Take a look at even more personalized gift ideas for sisters, all customized free from GiftsForYouNow! Our personalized gifts are great for any occasion, from birthdays to holidays to even kids gifts and just because! Shop today, it's easy!